Note: Check with your child’s doctor before giving them aspirin. It’s not a good option if they have or had a viral infection. The Food and Drug Administration (FDA) advises not using cough suppressants in children less than 2 years old. The FDA also supports not using them in children less than 4 years old. About antibiotic use and resistance. Centers for Disease Control and Prevention website. Available at: http://www.cdc.gov/getsmart/community/about/index.html. Updated September 13, 2013. Accessed May 29, 2018. Acute bronchitis. EBSCO DynaMed Plus website. 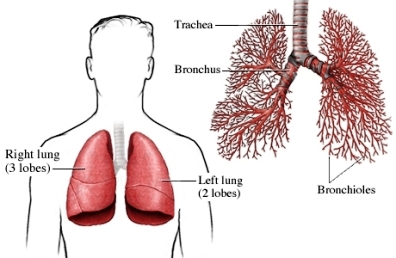 Available at: http://www.dynamed.com/topics/dmp~AN~T113814/Acute-bronchitis. Updated July 8, 2017. Accessed May 29, 2018. 2/3/2015 DynaMed Plus Systematic Literature Surveillance http://www.dynamed.com/topics/dmp~AN~T114449/Asthma-in-adults-and-adolescents: Rantala A, Jaakkola JJ, Jaakkola MS. Respiratory infections in adults with atopic disease and IgE antibodies to common aeroallergens. PLoS One. 2013;8(7):e68582.